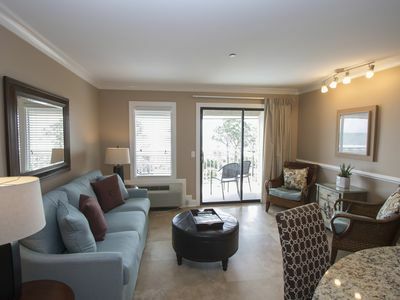 Newly Renovated townhouse villa featuring 2 bedrooms and 2.5 baths in Evian. 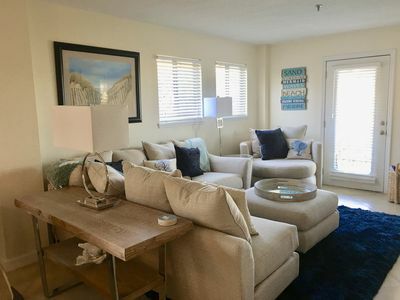 Evian is a very popular destination for many of our repeat guests, so book early to spend your vacation in this warm and cheery, newly renovated, two tier, 2 bedroom, 2.5 bathroom unit. 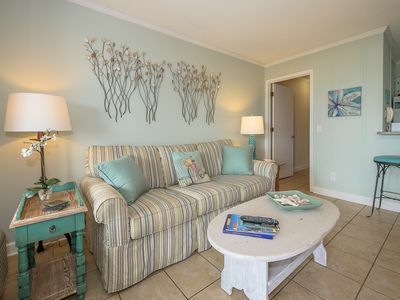 Just off the colorful entry foyer is a unique breakfast nook, sit here and sip your morning’s coffee while enjoying the local news or read your favorite novel. 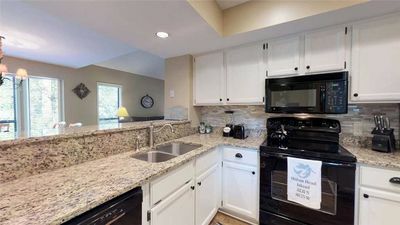 The adjacent kitchen, which can also be accessed from the foyer, has been recently updated with new stainless steel appliances, bright corner windows, beautiful granite countertops, and plenteous cabinet space for you to store your groceries. 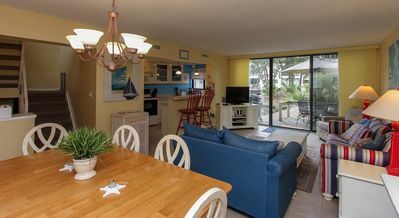 The formal dining features a table and six matching chairs. 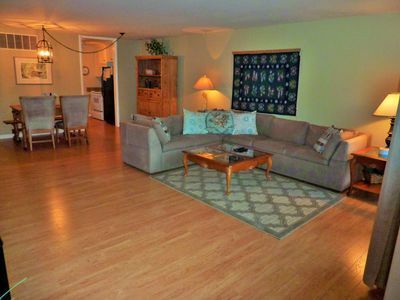 One step leads down to the bright and cheery, art filled living room. 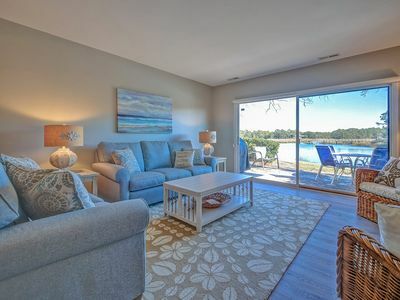 This room is beautifully appointed with an overstuffed sofa & loveseat, two comfy armchairs, a mounted flat screen TV, large windows, and a French door to a side deck with outdoor seating for 4; the tranquil lagoon views will wash away the hustle and bustle of everyday life and replace it with peace and tranquility. 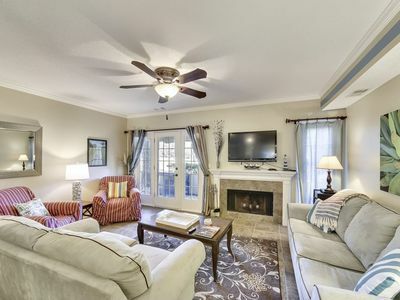 Upstairs you will find the master bedroom with regal decor and a king bed, a flat screen TV, and a snug armchair. 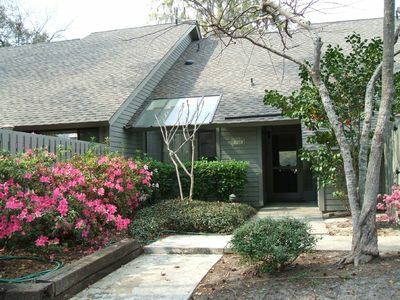 The master bathroom is home to a tiled, walk-in shower. 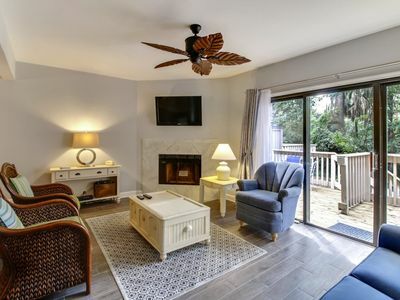 On the way to the guest bedroom, you pass a washer and dryer closet with full size appliances.The guest bedroom is perfect for kids and young adults with its twin beds and one queen bed delightfully decorated in yellows and purples and equipped with a mounted flat-screen television and a lots of fashion artwork. 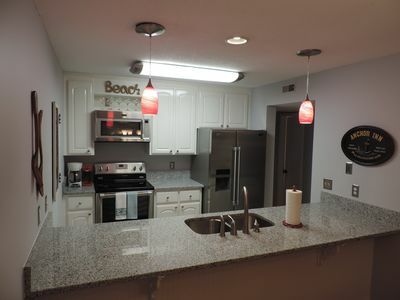 The guest bath has a tub/shower combination. 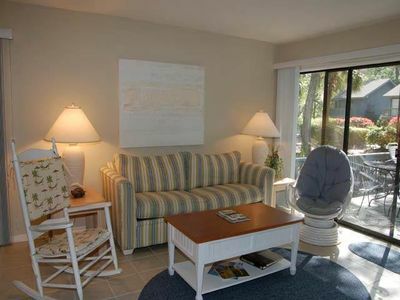 Seapines, updated 2 bedroom,Wifi,Bikes,Pets Ok,Good Beaches, Tennis. 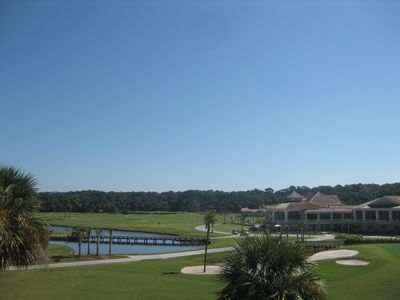 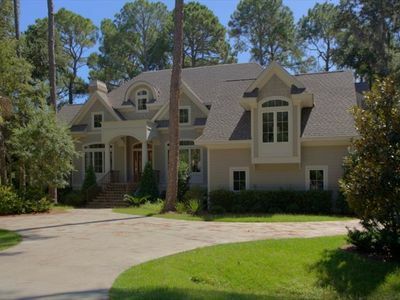 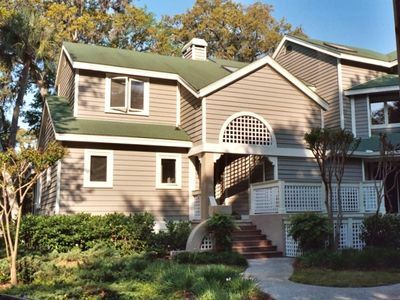 Reduced Pricing For Your Vacation In Sea Pines Plantation. 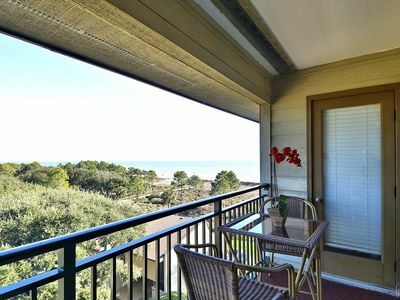 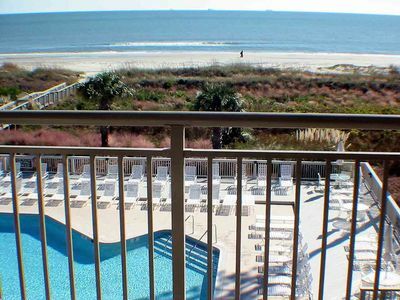 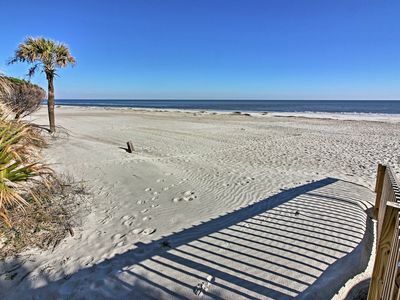 Hilton Head Condo - Near Beach, Snowbird Discount! 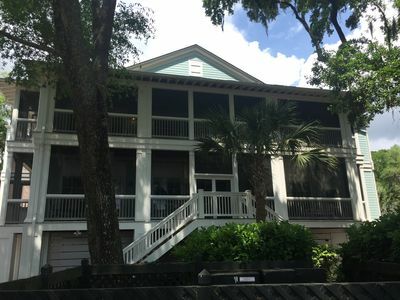 1615 Port Villa - Stunning Views of Braddock Cove and steps to the marina! 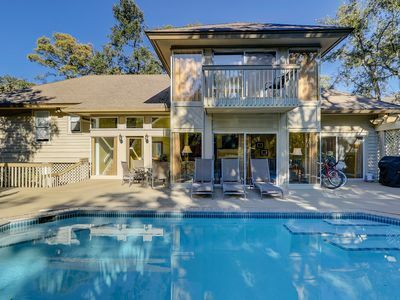 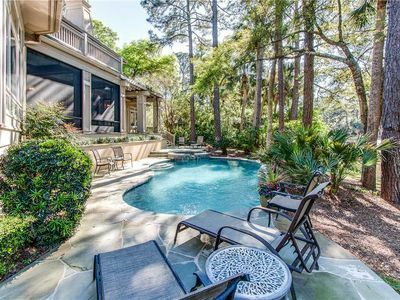 Centrally Located Villa in Hilton Head Island!